As ice remains a pressing problem for our fishers, with delays in the opening of some of our fisheries, it also sets the expectation that this will likely be another banner year for icebergs on the Great Northern Peninsula. 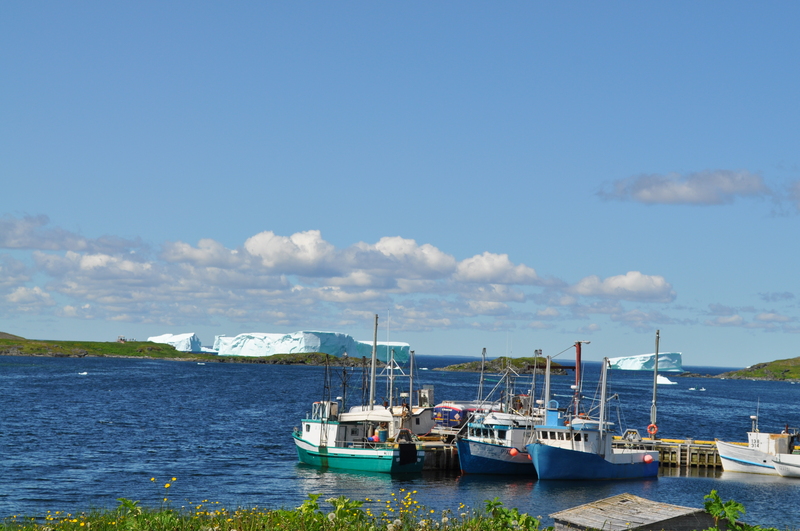 It is always fascinating to see the number of people travelling to L’Anse aux Meadows, St. Lunaire-Griquet, St. Anthony, Goose Cove, Conche and Englee to get incredible close up views of icebergs. In 2011, we had the Peterman Ice Island land here in Goose Cove. An incredible sight! Yesterday, I walked along the shores of my own community of Green Island Cove. It reminded me of a Fall vacation to Iceland, with glaciers and the magnificent sight of ice break-up on a day without a draft of wind. The Great Northern Peninsula is coined as “Iceberg Alley”. You’ll want to be here during the 9 day festival (Schedule at http://theicebergfestival.ca), but it not be sure to visit throughout the Iceberg Season! The Great Northern Peninsula will not disappoint. Posted on May 2, 2014, in Community Economic Development, Vacations and tagged festival, Glacier, goose cove, ice, ice island, Iceberg, iceberg festival, L'Anse aux Meadows, Newfoundland, northern peninsula, Petermann Glacier, St. Anthony, St. Lunaire-Griquet. Bookmark the permalink. Leave a comment.